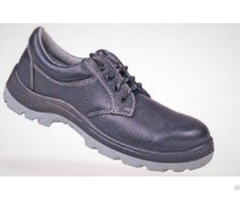 Designed with a 5:1 Design Factor for (Carbon Steel); 4:1 Design Factor for (Alloy Steel). 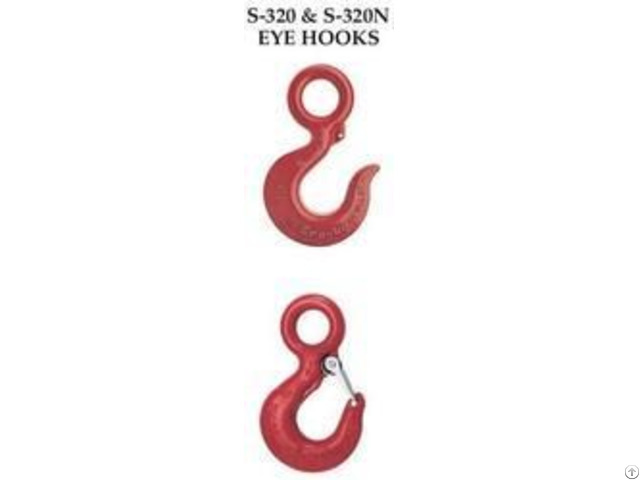 Proper design, careful forging and precision controlled quenched and tempering give maximumstrength without excessive weight and bulk.Every Crosby Eye Hook has a pre-drilled cam which can be equipped with a latch. Even years afterpurchase of the original hook, latch assemblies can be added. (See pages 101 - 103)Chemical analysis and tensile tests performed on each PIC to verify chemistry and mechanicalproperties. 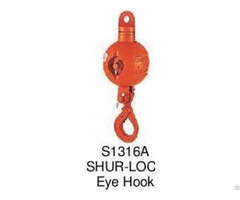 Hoist hooks incorporate two types of strategically placed markings forged into the product whichaddress two (2) QUIC-CHECK® features:Deformation Indicators and Angle Indicators (see following page for detailed definition). 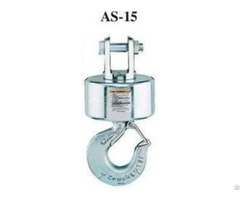 The following additional features have been incorporated in the new Crosby S-320NEye Hoist Hooks. (Sizes 3/4 metric ton Carbon through 22 metric ton Alloy. )Metric Rated at 5:1 Design Factor for (Carbon Steel); 4:1 Design Factor for (Alloy Steel). Can be proof tested to 2-1/2 times the working Load Limit.Low profile hook tip. When secured with proper cotter pin through the hole in the tip of hook, meets the intentof OSHA Rule 1926.